Adam, Brian and Jeff discuss highlights and back stories from episodes of The Engineering Commons podcast released in 2015. Brian started work the Monday after he graduated from college, and now wishes he had taken a little time off before beginning his professional career. Listener Joel suggests we invite Karl Stephan to participate in a conversation about engineering ethics. Dr. Stephan joined us for an episode titled “Ethics” back in 2012, but we hope to have him appear again in a 2016 episode of The Engineering Commons. Listener Peter suggests we include an occasional book review; Brian recommends the bestselling Neal Stephenson book Seveneves to our listening audience. Several guests have been suggested by listener Alex… thanks, Alex! A second listener Peter suggests we offer a “War Story of the Week.” Do you have an engineering “war story” you want to share? Bang the “Contact” link above and send it our direction! Multiple episode topics have been suggested by listener Frederick; thank you for the ideas! Based on our survey data from a couple of years back, Adam estimates about a third of our listeners are located in Europe. Listener Mike suggest we answer questions from our podcast audience during future episodes. Good idea, Mike! We’ve received a request from listener Merrill that we add our podcast to the Stitcher service. How many other listeners think this is a good idea? In “Ideas Without Words,” we talked with Bob Schmidt about communicating and generating engineering concepts using graphical tools alone. In mid-February’s episode “Creative Diversity” , we talked with Kathryn Jablokow about creativity along Kirton’s Adaption-Innovation continuum. Brian highly recommends the “Embedded” podcast Elecia produces with her husband, Chris. Brian continues to taunt chemical engineers, hoping one will rise to the challenge and agree to discuss chemical engineering with us on a future episode. Adam discusses his use of Geographic Information System (GIS) data. Jonathan Wai joined us to discuss “Spatial Reasoning” in mid-April. We discussed “Plastics” with Jim Heilman. “Photonics” was the focus of our episode with guest Tim Quinn. Patrick Riordan joined us to discuss “Career Planning” in Episode 83. We revisit the Star Trek method for managing your boss’s expectations: under-promise and over-deliver. “Workflow Balance” was the topic for our discussion with Aaron Spearin. A brief discussion ensues about the Theory of Constraints that was popularized by Eli Goldratt. Brian is enjoying the TV series Mr. Robot. “Early Lessons” provided a conversation about important insights Adam, Brian, Carmen, and Jeff gained during their first couple of years on the job. “Home Automation” gave us an opportunity to discuss remote controls, smart hubs, and the Internet of Things. Brian is confused as to why his Philips Hue light bulbs do not retain configuration information. Jeff notes that Philips received some flack over their decision to prevent third-party devices from working with their smart hubs. Brian mentions the 2014 decision by FTDI to “brick” counterfeit chips. Engineering “Relevance” was the topic of a group discussion in late October. “Perceptions” allowed us to discuss the manner in which non-engineers perceive engineers. Thanks to our listeners for downloading The Engineering Commons podcast! We hope you enjoy great success in 2016! 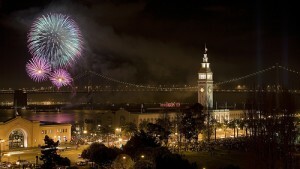 Thanks to Christopher Michel for use of the photo titled “NEW YEARS IN SAN FRANCISCO.” Podcast theme music by Paul Stevenson. Going into 2016, would love to hear you guys’ opinions on engineering news.